MAURICE JONES WILL REPLACE MICHAEL RUBINGER AS HEAD OF THE ORGANIZATION IN SEPTEMBER. Maurice Jones, who rose from a small-town tobacco farm to become a leader in government and business, was named president and CEO of the Local Initiatives Support Corp. (LISC). 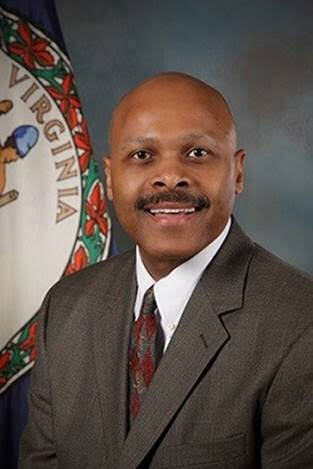 Jones, Virginia’s secretary of commerce and trade since 2014, was unanimously selected by the LISC board to replace Michael Rubinger, who announced last year that he was stepping down after 17 years. The transition will take place in September. Since its founding in 1980, LISC has invested more than $16 billion to help neighborhoods recover from what in many places has been decades of decline and abandonment. Working with community partners in 31 urban areas and across an expansive rural footprint, the national nonprofit invested $1.3 billion last year into building and preserving affordable housing as well as supporting a broad range of projects in health, safety, and job creation to revitalize neighborhoods. Former U.S. Treasury secretary Robert Rubin, LISC’s longtime board chair, said Jones’ experience in federal and state government as well as in the private sector align with LISC’s mission to rebuild America’s disinvested communities. Jones, 51, has held numerous senior jobs in state and federal government. He manages 13 state agencies focused on the economic needs in his native state of Virginia. He previously served as deputy secretary at the Department of Housing and Urban Development, overseeing operations for the agency’s 8,900 staff. Prior to that, he was commissioner of Virginia’s Department of Social Services and deputy chief of staff to former Virginia Gov. Mark Warner. Trained as an attorney, Jones worked in the Clinton administration on legal, policy, and program issues at the Treasury Department, where he also helped manage a then-new initiative called the Community Development Financial Institutions (CDFI) Fund—a federal program that has grown to be a critical supporter of nonprofits that leverage its capital to bolster their communities. It was during his time at the CDFI Fund that Jones said he first gained an enormous admiration for LISC’s commitment to tackling poverty and blight. Jones’ experience in the private-sector adds another important dimension to his capacity to become the fourth chief executive in LISC’s 36-year history, according to Lisa Cashin, LISC’s board vice chair who headed the CEO search committee. Jones was general manager of The Virginian-Pilot in Norfolk and went on to become president and publisher of its parent company. He also worked for a Richmond law firm and a private philanthropy, investing in community-based efforts to benefit children in Washington, D.C.